Greetings! I am Tania Rempert, Evaluation Coach at Planning, Implementation, Evaluation Org. This post is written together with my colleagues Molly Baltman from the McCormick Foundation, Mary Reynolds from Casa Central, and Anne Wells from Children’s Research Triangle. 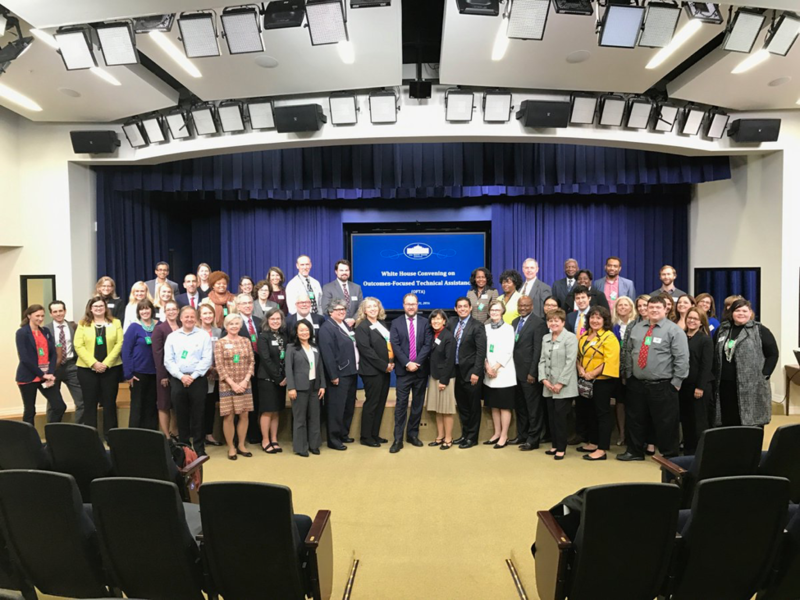 We would like to share our experience speaking at the Office of Social Innovation White House convening on Outcomes Focused Technical Assistance (OFTA). The White House Office of Social Innovation and Civic Participation would like to change that. This convening was meant to draw attention to the technical assistance needed by social service agencies when tasked with measuring and reporting and using outcomes. It takes at least 2 years to see measurable outcomes and be able to model the use of this data at the cohort level of shared outcomes. Grantees are experts through lived experience, use their community voice to determine specific strategies, because they have the language and experience to take each other to the next level, so when they are brought together, a learning community organically develops. The beauty of using an evaluation coach visiting organizations on-site to provide technical assistance is that each organization has different needs to make data-informed decision making.